Rye Food Bank had a different sort of visitor last Tuesday, March 26, in the form of the Bishop of Lewes, the Rt Rev Richard Jackson, and his Rural Dean who, together with Rye’s own Canon Frost, had come to see the work of manager Chris Emson and her team as they prepared supplies for transfer to the food bank at the Baptist church hall in Cinque Ports Street. This is open between 1pm and 3pm every Wednesday. There can be no doubt, sadly, about the need for the food bank. Recent donations and purchases have filled the store room for the moment, but with demand already up on last year, regular replenishment is needed. 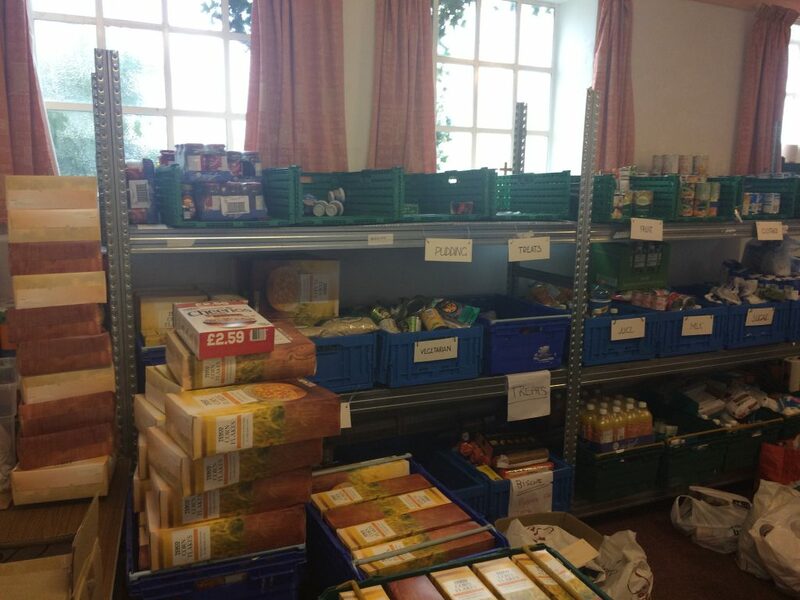 Following a recent Rye News article on the food bank, a number of generous cash donations have helped with purchases and it seems likely that the generosity has extended to donations to the food bank collection point at Jempsons. Last year the food bank fed 1,023 people. This year figures available to date suggest that by the end of March the number will be around 500, so potentially, even allowing for a reduction of need as the warmer weather arrives (less money being spent on keeping warm etc) a significant increase in demand on last year looks likely. The change to Universal Credit (UC) and the delay in receiving it, is cited as one of the main reasons for the increasing need, together with the initial UC offer frequently being lower than an individual’s existing benefits. This can, however, be appealed, often successfully. There is a set quota of food given to each individual or family and this is designed to last them for three days. If you feel you can donate something at the Jempsons collection point, please avoid fresh food but tins of beans, soup, tomatoes, vegetables, meat, fish are always in demand together with packeted and dried foods such as cereal, rice, pasta, noodles and, of course, tea, coffee, milk (UHT or powder). Packet sauces and small chocolate bars are also a treat for someone who is struggling. 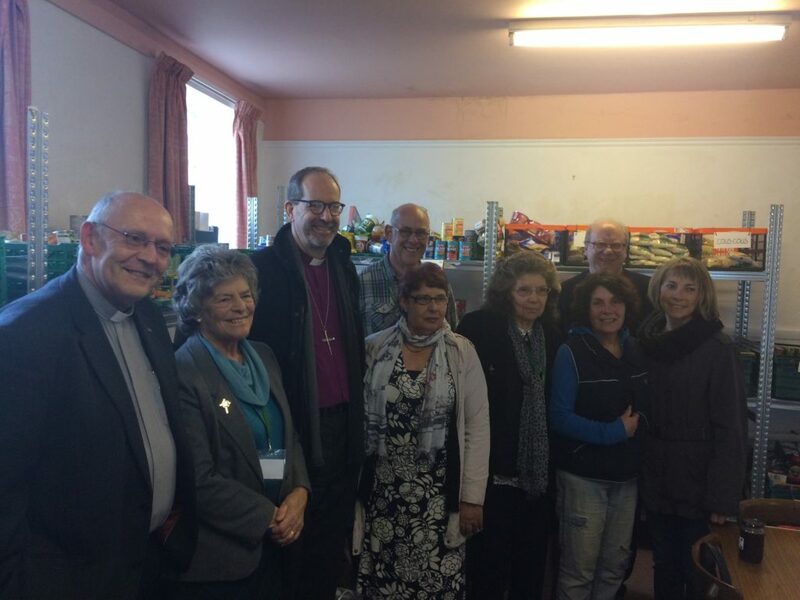 The Bishop was impressed with the amount of work being done and the willingness of the volunteers to give so much time and effort to help those less fortunate. It is undoubtedly sad that food banks are needed at all, but, for as long as they are, they are worthy of community support.